- In stock at Blackburn for delivery on our van, or for your own collection. RTD "Return-to-Door" Safety Round-Bar Door Levers on sprung 52mm 2-part press-on Rose with bolt-through fixings, and 8mm square spindle operation - DDA Safety Compliant - Disability Discri­mina­tion Act 1995 and also Firecheck rated BS EN 1906 - FD30 / FD60. Safety Lever Door Handles are supplied with bolt-through fixings only, and should be used in conjunction with Hoppe® latches, locks or bathroom locks. - Fire rated BS EN 1906 for FD30 and FD60 Fire Doors. Supplied in pairs with sprung two-piece screw-on square-edged round roses, screws for secure bolt-through concealed fixing, and with split-spindle and grub-screw for extra strength door handle connection. 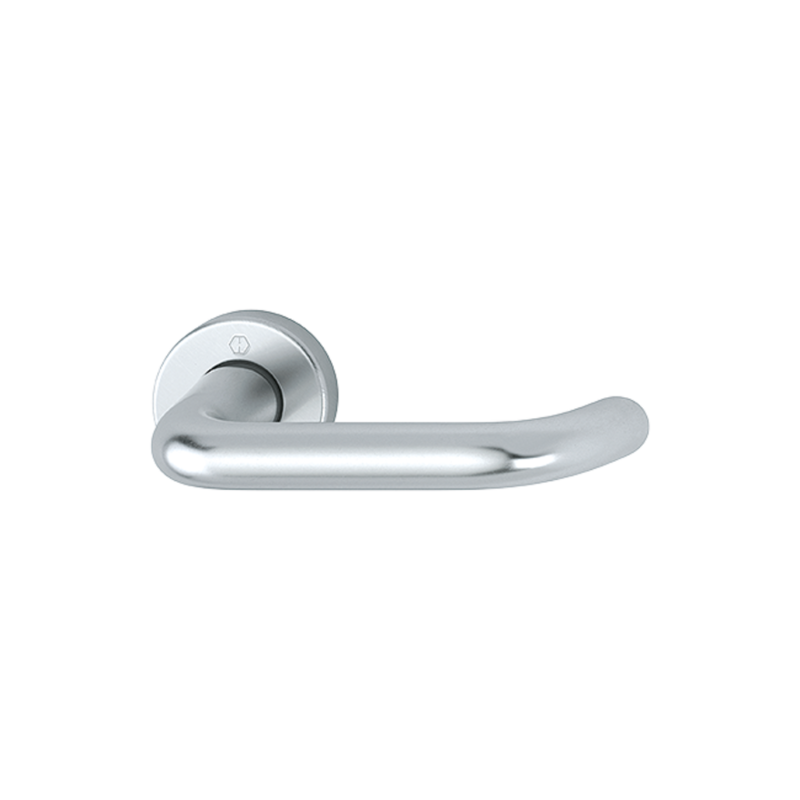 Hoppe® Metal Door Handle finishes are normally a plated or anodised effect, on a base metal. 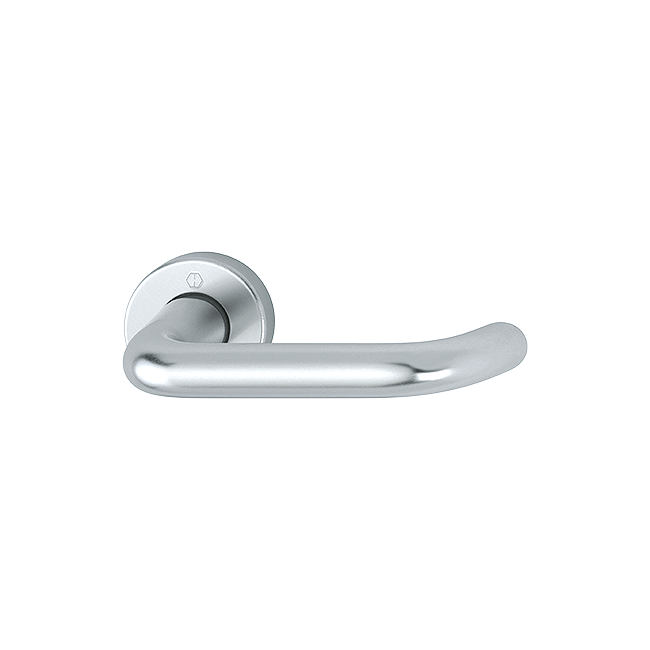 Hoppe Door Handles are sold for internal use, but are made from aluminium, to help reduce tarnishing. Payment - We can take Debit Card, BACS, Cash, Cheque or Credit Card payment online for Hoppe/Arrone® Paris DDA Lever Door Handles. E. & O.E. see T&C - We do try to keep prices and specifi­cations of Hoppe Firecheck Door Handles correct, but mistakes can be made! Please let us us know if you do spot any errors - thanks.